Focusing on the Western philosophical tradition and the work of contemporary feminists, Jean Elshtain explores the general tendency to assert the primacy of the public world--the political sphere dominated by men--and to denigrate the private world--the familial sphere dominated by women. 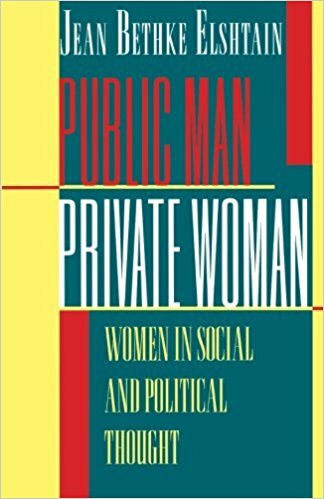 She offers her own positive reconstruction of the public and the private in a feminist theory that reaffirms the importance of the family and envisions an "ethical polity." Women in Social and Political Thought,” Curadoria Enap, acesso em 18 de abril de 2019, https://exposicao.enap.gov.br/items/show/270.